6" x 9" Clear Slide Seal Bag | U.S. Plastic Corp. 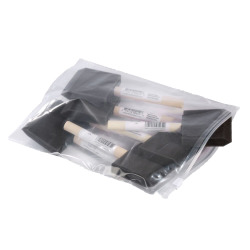 These slider top bags have an easy, reusable open and close slider. These bags meet all FDA and USDA specifications for storing food items. Perfect for the packaging of almost any product.